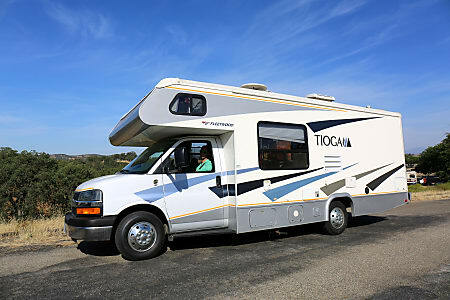 Looking for RV rentals in Los Angeles, California? 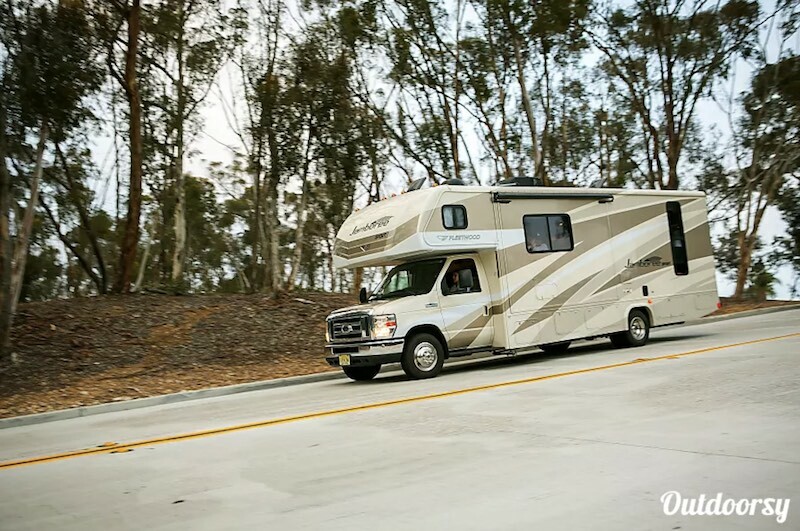 We found the 10 best RV rentals Los Angeles has to offer - everything from cheap RV rentals to luxury motorhome rentals, small off-road travel trailers to massive Class A's. You're just moments away from being in an RV in Los Angeles, CA! Disclaimer: These RVs rent out fast! You usually need to rent them weeks (sometimes months) ahead of time. 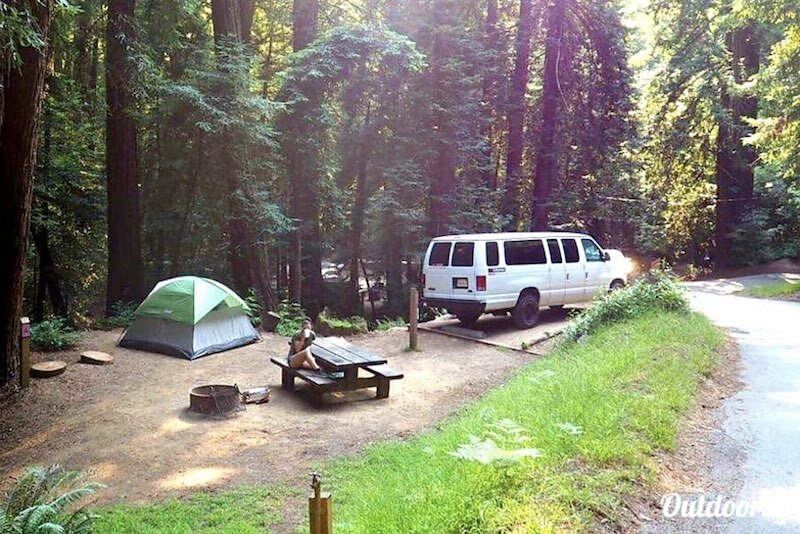 If the RVs below aren't available for the time you want to rent them, click here to go to Outdoorsy and see what else is available for you in Los Angeles! 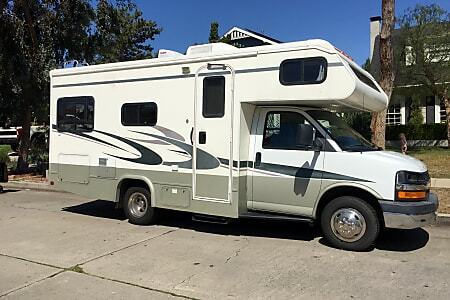 Looking to rent an RV that is great for a couple or small family? 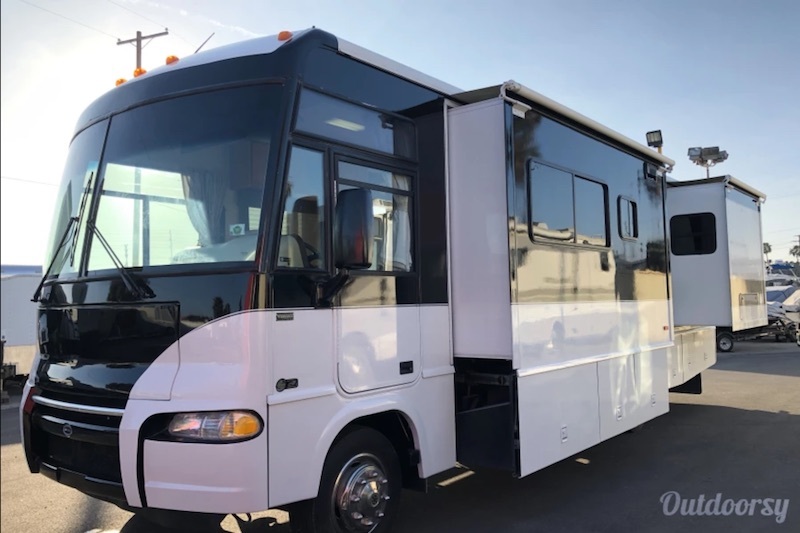 This 2004 Itasca Sunrise is the perfect motorhome rental to explore the in's and out's of Los Angeles and the surrounding areas! This motor home runs on gas and is on the small side for a Class A (which is good for navigating LA traffic). 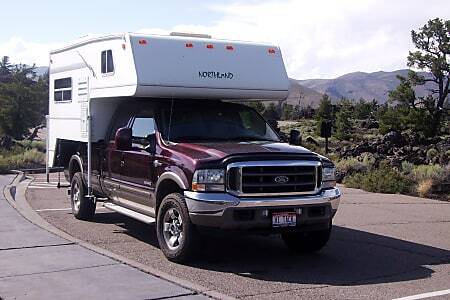 It offers plenty of extra RV storage inside and out so that you have plenty of room for all your stuff. As a bonus, Ken, the RV owner, throws in a complete dining set, cookware, and other kitchen/bathroom supplies for no additional charge! Ken is a very friendly guy, who is responsive to all questions. The RV is in impeccable condition. He really cares about his guests - taking the time to make sure you are comfortable with all the operations of the vehicle! Were you looking for a camper van rental with a European design? I know I was! 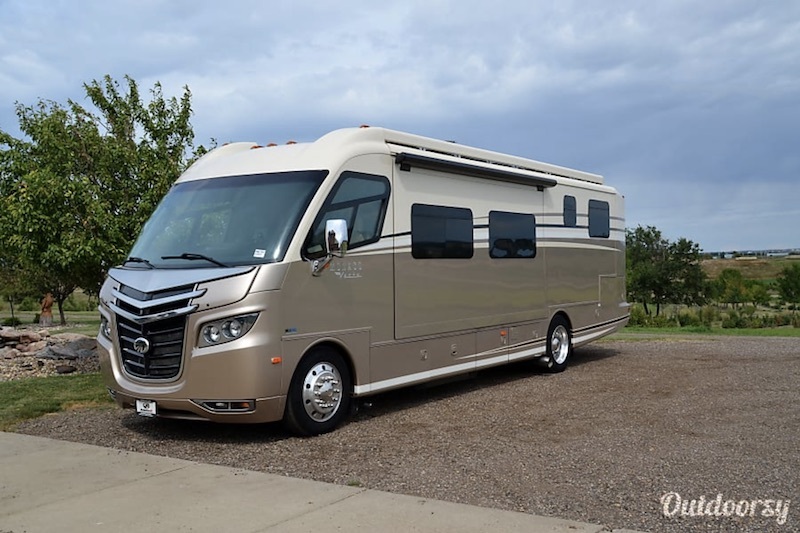 This 2017 Hymer Aktiv is elegant inside and out! This camper van is a compact yet roomy studio on wheels! 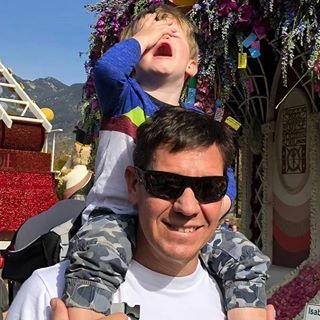 With enough room to fit a small family, and the maneuverability to get through California's worst traffic, you can see everything from Beverly Hills to Sunset Blvd to Anaheim! It even comes with some pretty cool features like a TV/DVD, refrigerator, microwave, stovetop, and an awning to enjoy that comfortable 75° weather! Great Van! Jody improves the Van Camping experience with each Hymier model. 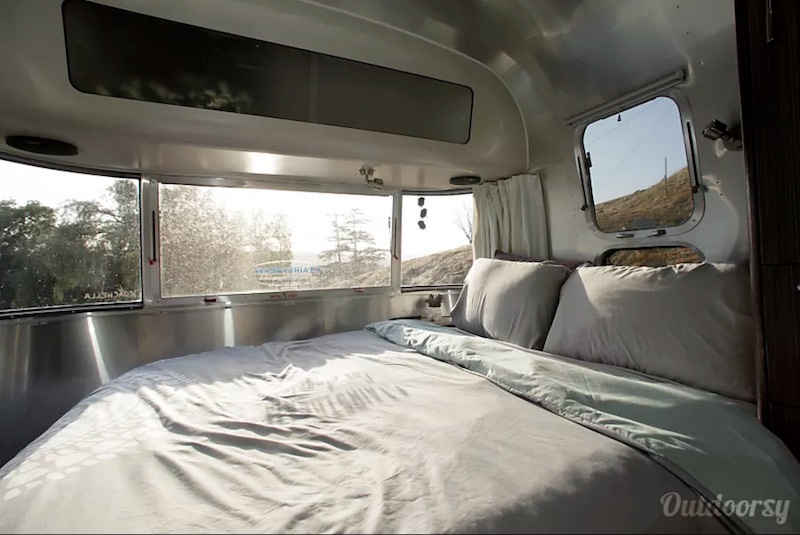 Go on a glamping adventure in this 2014 Airstream Interstate! Susan, the RV owner, boasts that it's the perfect getaway car because it is easy to drive and provides a luxurious ride. I have a special place in my heart for Airstream so this camper van rental really seals the deal for me! What makes this such a great choice is all of its safety features like side-view cameras, parking assist, collision prevention, and lane keeping assist. Another huge plus is the fuel economy - getting typically in the upper teens to low 20s per gallon. That is a big deal when California gas prices can get up to almost $5/gallon! 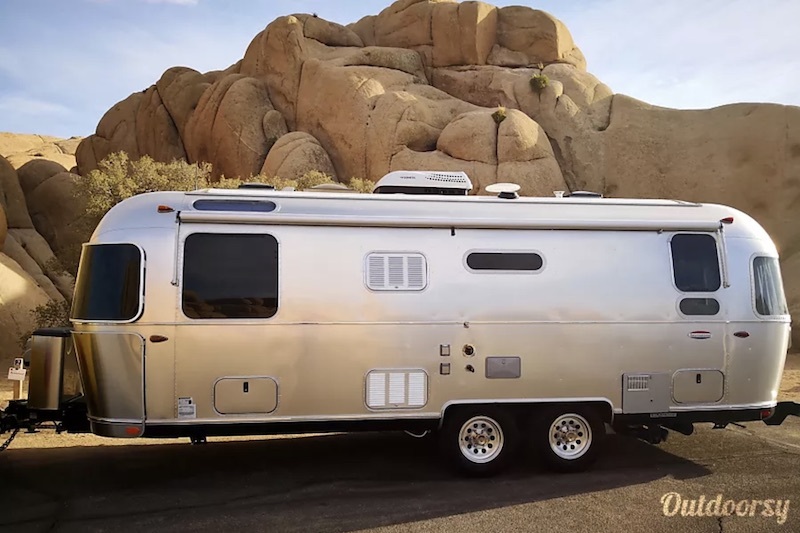 Driving this Mercedes Airstream Interstate around the country was a dream. 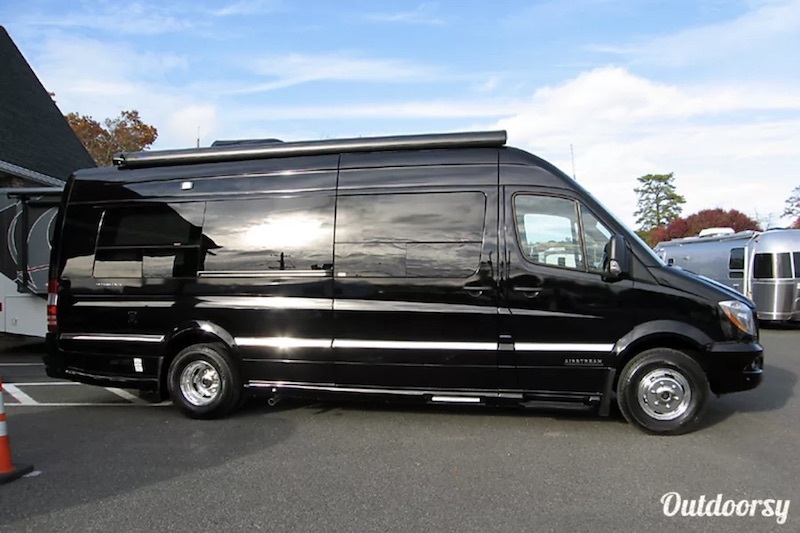 This motorcoach provides luxurious comfort and convenience while on the open road. I highly recommend this listing. You can not ask for a better experience. 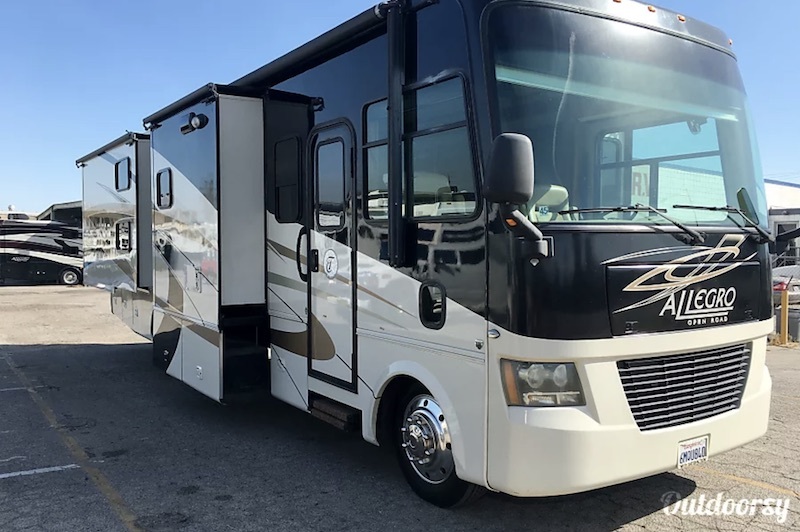 The RV owner, Eva, says that the perfect renter for this 2012 Fleetwood Jamboree Sport is "the family that wants to make memories." 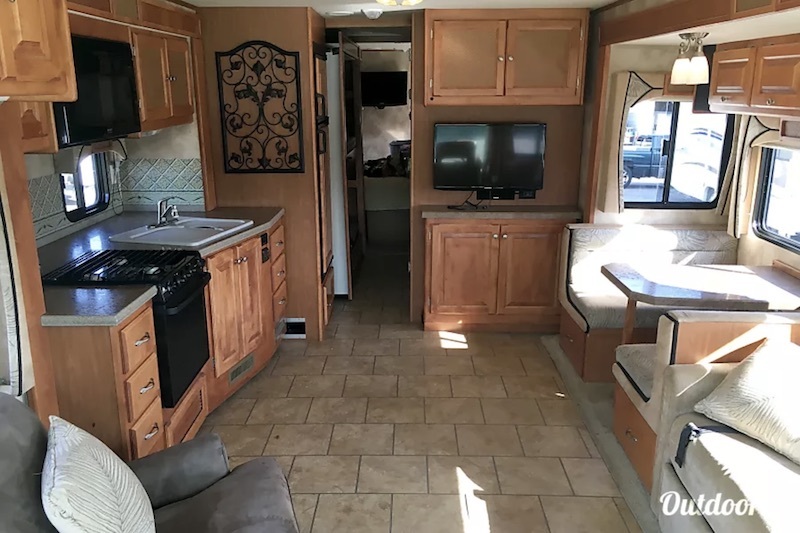 If that sounds like you, then don't miss out on this motor home rental! Eva takes great care and pride in the way she cares for her RV. She wants to share her motor home with a family who will love it as much as she does and will treat it with a lot of respect. There are a few add-ons that you can get for an extra charge like a linen set, kitchen set, and satellite. Eva will even deliver the RV to the RV campground or RV resort of your choosing! Eva was super helpful and responsive to a first timer on RV. Our family had a fabulous time and we all look forward to our next RV trip. Looking to rent an RV on a budget? 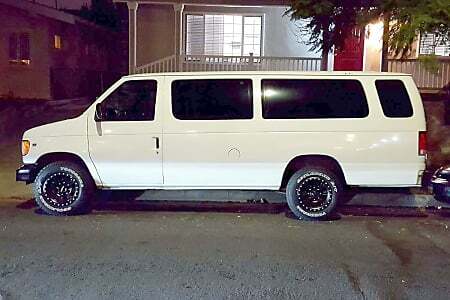 Check out this 2000 Ford E350! 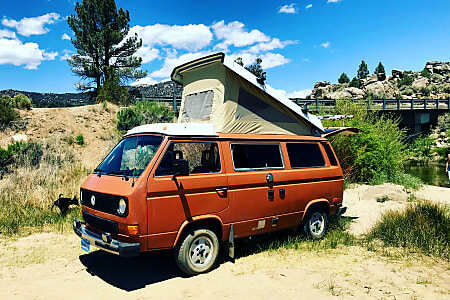 This camper van rental is perfect for two people to see Los Angeles! 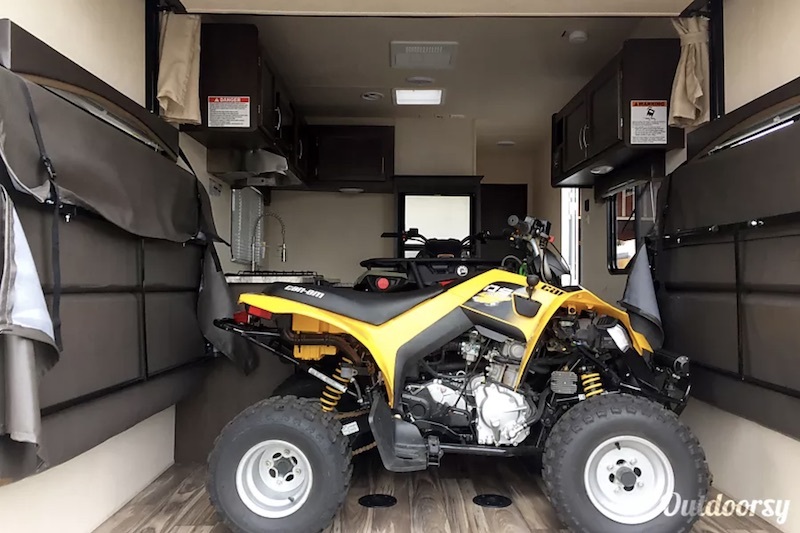 When you are done exploring Sunset Blvd, you can take this puppy out to the dunes and sleep under the stars because it comes equipped with off-road tires that are perfect for any terrain. 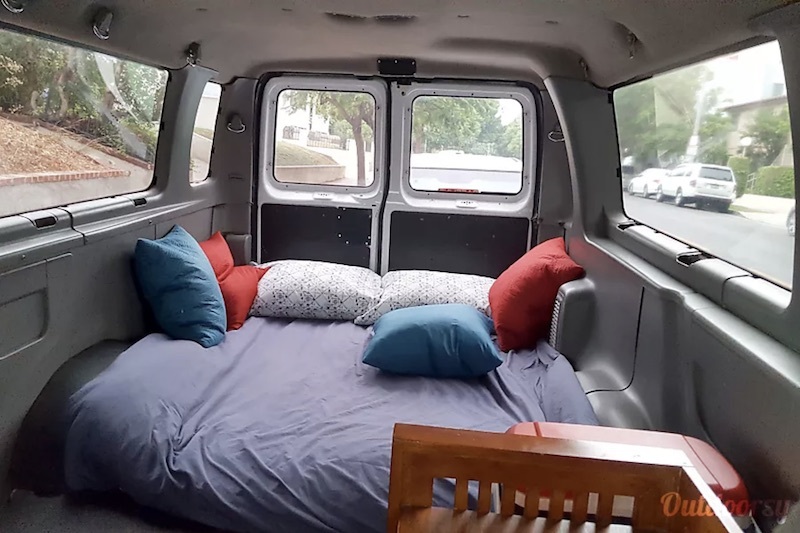 The inside has a comfy, plush futon bed, air conditioning, and a nice stereo. 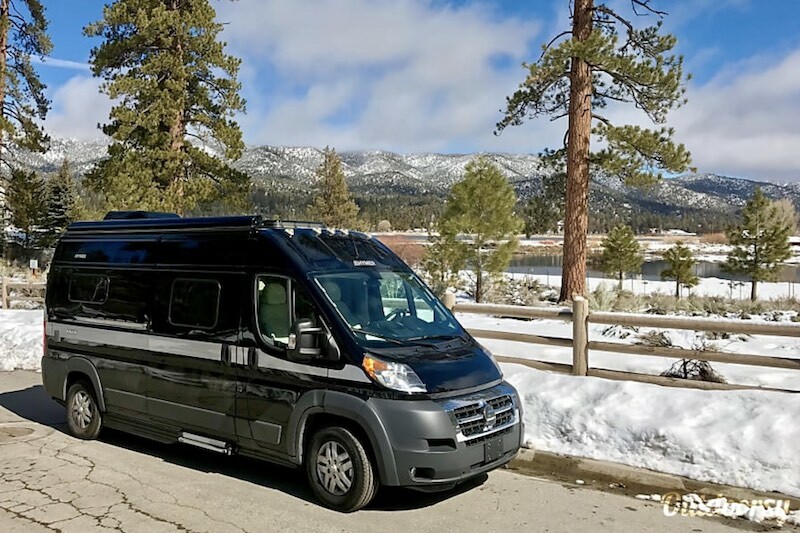 RV owner, Scott, even throws in some pretty cool extras like a tent, cooking stove, cooler, umbrella, and a surfboard (because you can't really say you've been to SoCal without hitting some waves)! We had an amazing time with Scott's van! 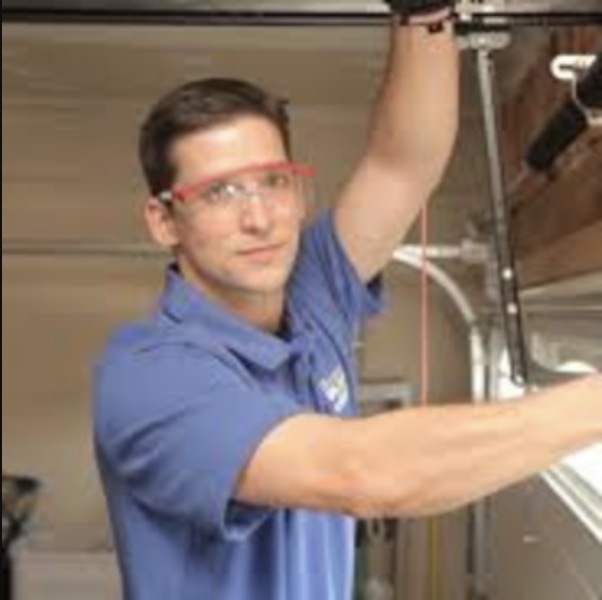 Scott was super responsive and the van was great! We will definitely look to use the van again in the future! 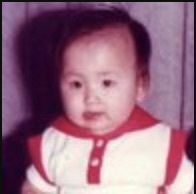 Thanks for everything! One of the best things about going to Southern California is going out to the Dunes. This 2017 Forest River Stealth is perfect for a week out in the desert! 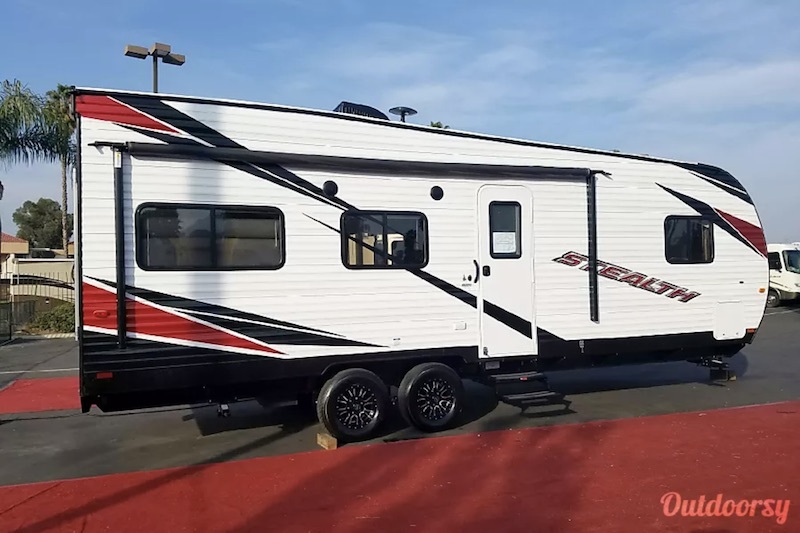 This toy hauler travel trailer rental comes with a ton of great features like an electric awning, 2 propane tanks, bluetooth radio, an electric bed, two fold up couches, a front bedroom with full bed, and 13ft of RV storage. That's just the beginning of what this RV offers! The only thing that RV owner, Monica, asks is that you have Break Controller and Binder insurance. The owners were fantastic to deal with. They were on time at both pick up and drop off and very helpful. The trailer was in excellent condition, looked like new. We could tell that the owners really take care of the vehicle. Highly recommend renting from Monica. We had an fantastic experience. 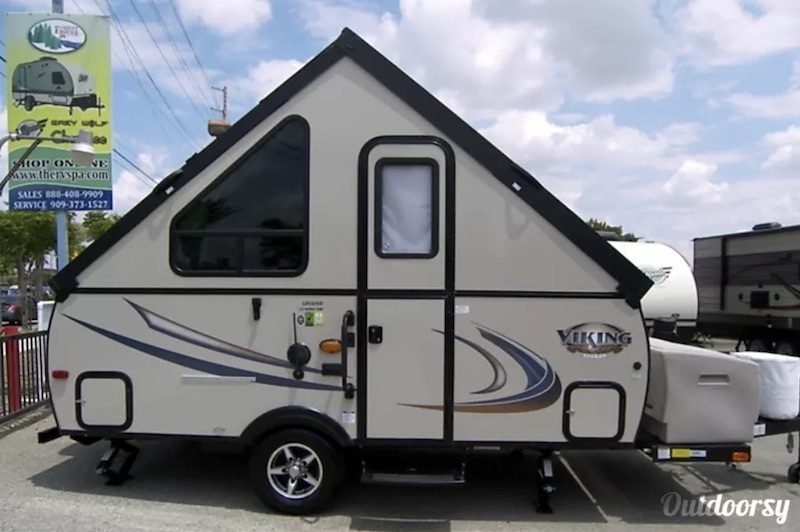 I love the look of this 2017 Coachmen Viking! It's a great alternative to tent camping and easy to tow. 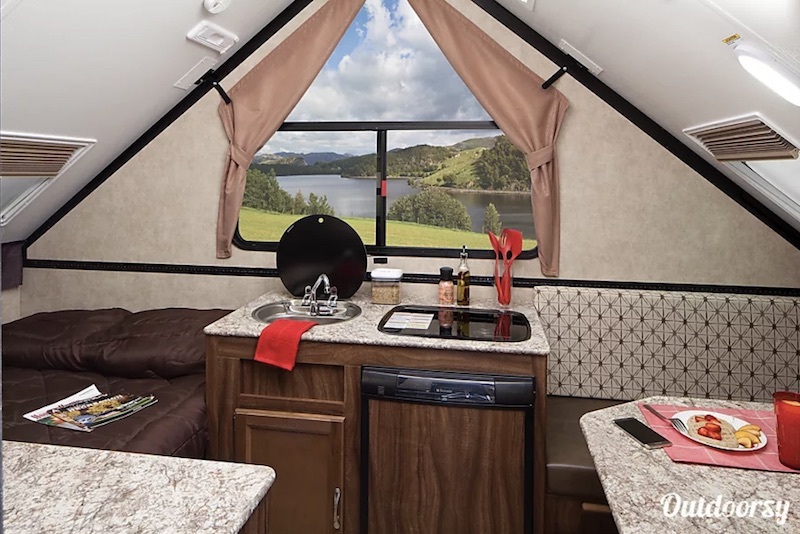 This travel trailer rental has some amazing features like a refrigerator, stovetop, microwave, and air conditioning/heating. The RV owner even throws in a coffee pot, camping chair, kitchen set, porta-potty, and privacy pop up tent for free! The only thing to keep in mind when renting the Viking is that it needs to be plugged into shore power and is not good for dry camping unless you bring a generator. Great pop up for small family. Dawn was friendly and informative! 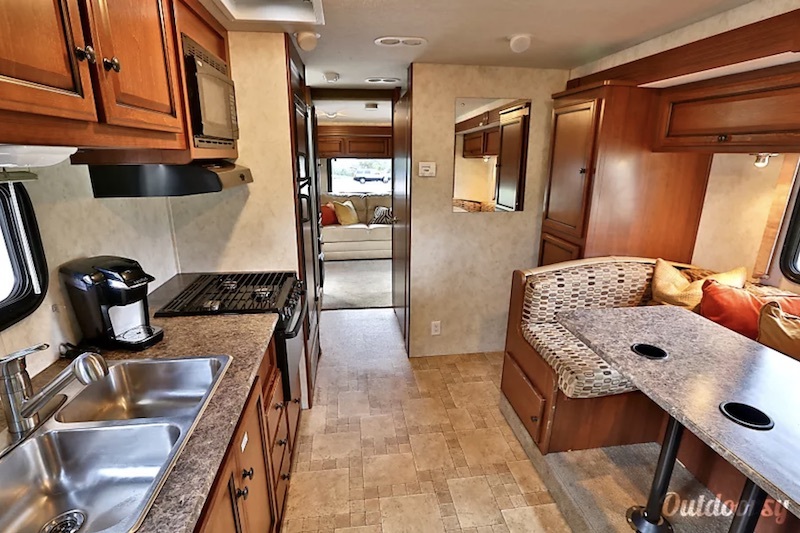 This 2010 Tiffin Motorhomes Allegro Open Road has enough room to be considered a small house! 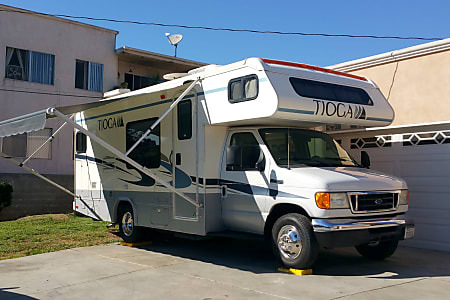 This motorhome rental in Burbank is a great choice for a large family. It comes with a master bedroom for some parental privacy and bunks for the kids. The owner will even provide linens, a kitchen kit, and a beach kit for a small fee. Contact and communication was quick and easy. Info was thorough and helpful. Pick up/drop off was made smoothly. Robert was professional and instantly responsive to messages. Highly recommend. 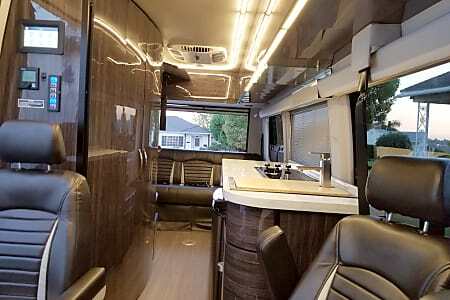 This 2018 Airstream International is one luxury RV rental Los Angeles has to offer. 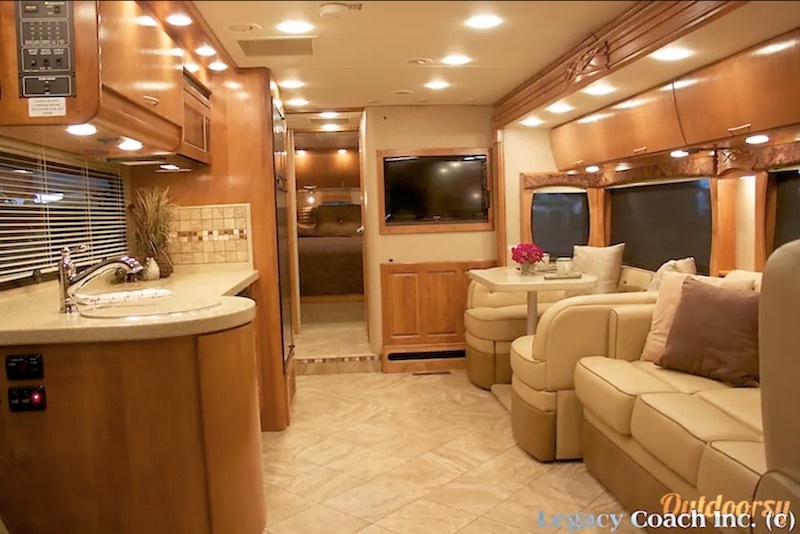 With a simplistic exterior and European inspired interior, you are sure to love this travel trailer! 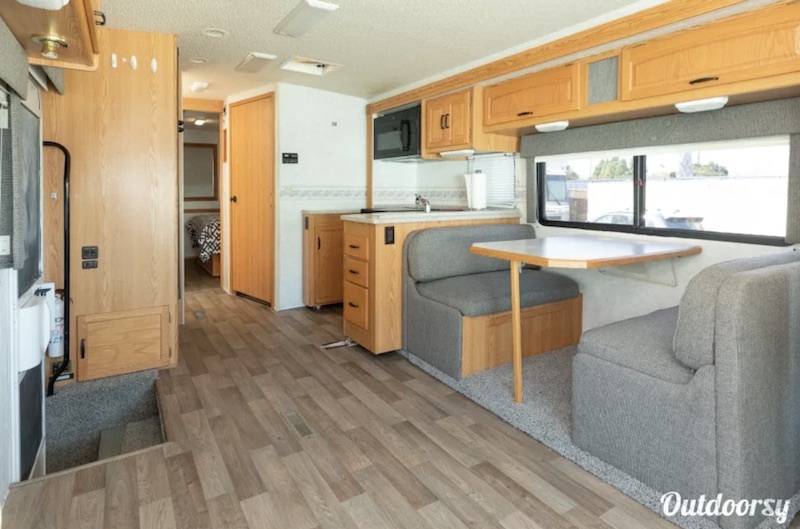 This travel trailer rental offers a semi-private master bedroom with queen bed plus two fold out beds. In the kitchen it has a large RV fridge with separate freezer and a gas stove with oven. As an added bonus, this Airstream is solar equipped which will power everything except the air conditioning and microwave when boondocking. Had a great time and will definitely be renting this RV from Jeff again- a pleasure to work with. Last, but certainly not least, we have this modern 2012 Monaco Vesta! 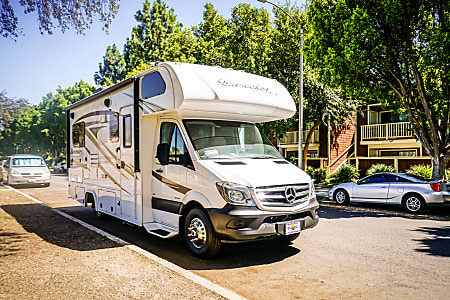 This motorhome rental has quite a few features like a diesel front engine, two air conditioners, satellite navigation, bluetooth phone, solar panels, and integral diesel generator. The RV owner, Dave, even throws in kitchen essentials, four camping chairs, barbecue, mat, and table. Words cannot describe!! We booked this RV for 2 weeks and we felt at home. We literally could have taken our clothes and towels and that’s it!! It is geared with every little thing you can or can’t imagine. So clean and so comfortable. We were traveling with a baby and had the time of our life thanks to the RV being so comfy and spacey. Dave and his wife are super sweet, accommodating and just great people. Recommended from the bottom of our hearts. Not seeing anything you like? No worries! You can browse all the camper rentals available online using the widget below. Just click one that looks interesting to see more information! That brings us to the end of our list of the best RV and camper van rentals in Los Angeles, California! 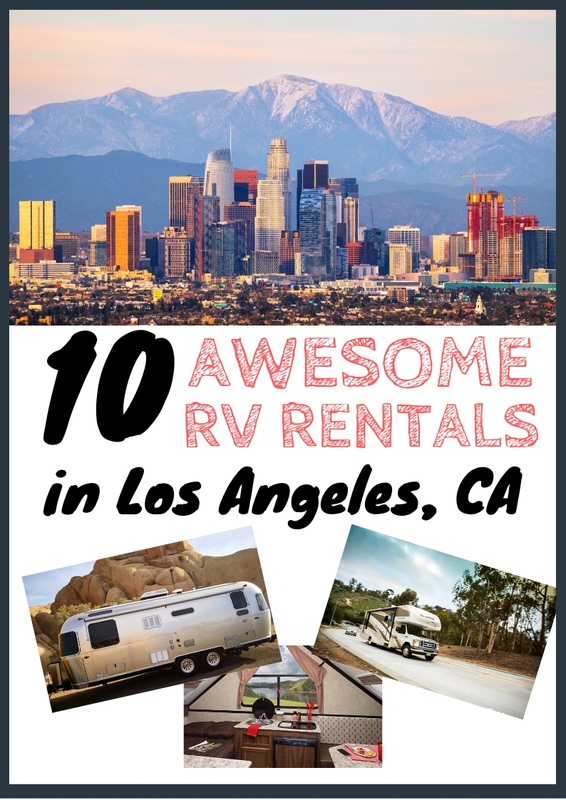 Remember, if you didn't like any of these we listed (or they weren't available for you), you can always check out all the Los Angeles RV rentals available on Outdoorsy. 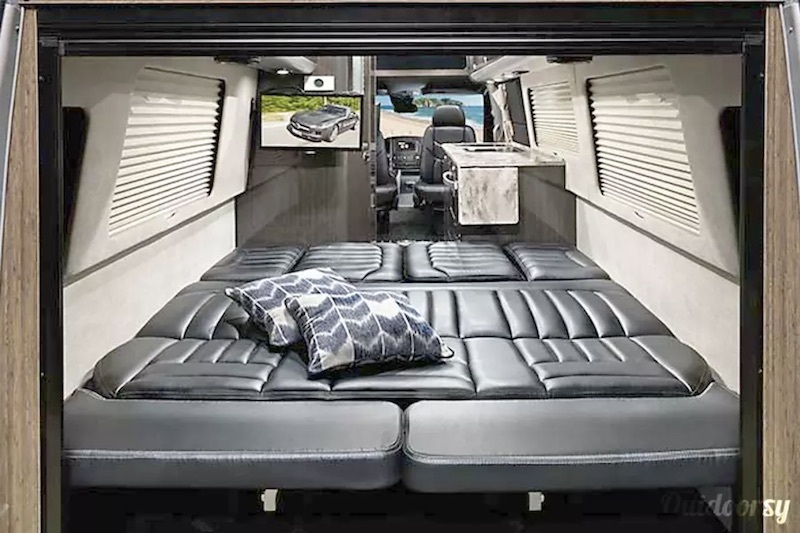 You can find everything from tent campers to luxury Class A's. Now that your trip is booked, the next step is to plan your activities! Are none of these the tourist attraction of your dreams? Check out the top things to do in Los Angeles on Trip Advisor. 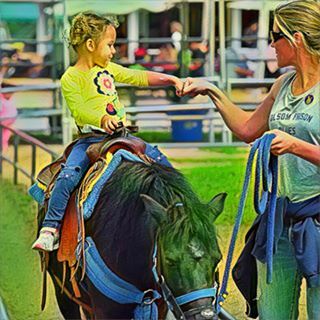 If you are planning your trip and need a little help finding a place to park your rig, here is a list of RV parks and RV resorts. And that's all we have for you! Want to share your Los Angeles camper van or RV rental or some cool things to do in California? Or have questions? Leave a comment below! Pro Tip: Want better rental prices? Ask the rentees if they offer reduced winter rates! Not all of them will, but a winter trip in the south can save you some money. You can also check availability and add Outdoorsy Roadside Assistance to most of the rentals for added peace of mind. Enjoy your RV rental vacation! !